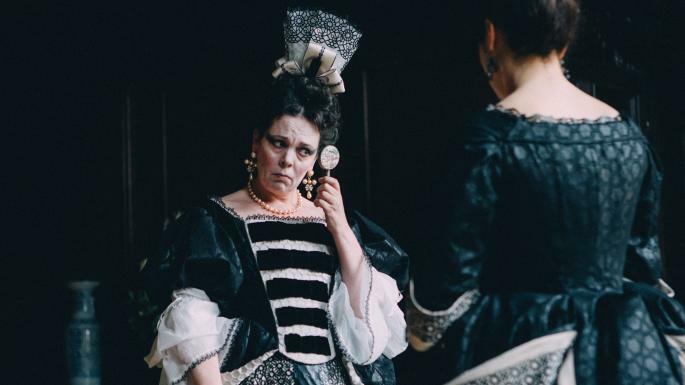 Queen Anne is not a well-known British monarch, at least until the Oscar nominated film, The Favourite. But when people do talk about her, they fixate on her body. History treats her sickness and size as a metaphor for the country’s political ill-health. A research team from the University of Houston and NASA grew E.coli bacteria over six months – in microgravity — too determine how the chemical pathways that lead to antibiotic resistance could alter in space. But researchers found that not only were the bacteria resistant to the antibiotic, they were also resistant to five others they hadn’t been exposed to. The social media marketing company, FuckJerry, has had a history of profiting off other people’s online content. But after pockets of pushback, the #FuckFuckJerry movement is finally calling for some accountability. India ranks the lowest in the world for divorce rates, at less than 1%, finds a global study. But is this cause to celebrate, or a symptom of social pressures that force people to stay in unhappy marriages? The recent homophobic, racist attack on Empire star, Jussie Smollett, is a reminder that many LGBTQ+ people are at risk, by simply existing, regardless of their social status or cultural clout. If you’re in New York this summer, you’ll have to take MoMA off your list of places to visit. But the renovations they’ve closed for, promise a greater focus on women and artists of color, shaking up the art scene. “Let Children Be Bored Again” is a very convincing manifesto to give children the gift of boredom, allowing them to come up with ways to entertain themselves, spawning creativity and self-sufficiency. A photographer gave teenagers the choice to alter their photos or leave them as-is — with the aim of finding out what teens think it means to be ‘social media ready.’ The resulting photo essay shows the range of changes teens think they must make to be viewed by the public: editing their noses to be narrower, making their lips and eyes bigger, and their faces slimmer.